Signatories to the Dóchas Code of Conduct on Images and Messages (“the Code”) are obliged to ensure that: the materials and communications they produce are in-keeping with the principles as set out in the Code; and to provide the public with a facility to feedback, both positively and critically, on these communications. (Commitment 1). The organisation’s feedback mechanism is to be the first point of contact for those who wish to make a complaint (email info@habitatireland.ie with your feedback). – Complaints must be addressed to the Dóchas Director at media@dochas.ie. – Complaints must be against Code signatories only. – Complaints must clearly indicate which principle or principles of the Code the complainant feels may have been breached, and why. – Complaints must clearly indicate the full name of the complainant (this information will be kept confidential to Dóchas and anyone involved in the process) and the complaint must clearly indicate the format/medium the complainant feels may have breached the Code (ie. Website, TV ad, poster,etc) and provide a link, copy or full description of the piece. 11. Complainant and the organisation will be informed in writing of the decision. Dóchas commits to ensuring that the complaints are dealt within a timely and professional manner. 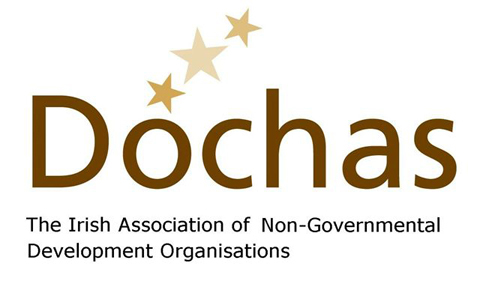 Habitat for Humanity Ireland is a member of Dóchas. We are signatory to the Code of Good Practice developed by Comhlámh, and the Dóchas Code of Conduct on Images and Messages.